MotoZ, MotoZ Play and the Moto Mods TM Launched in India today. With amazing features on which you can rely on completely. 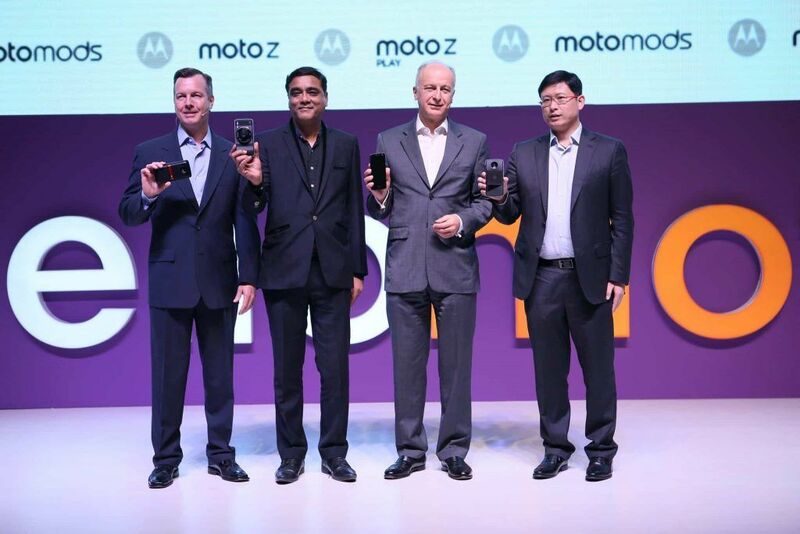 Introduction of MotoZ, MotoZ Play and Moto Mods, the possibilities are endless. Both are amazing flagship smartphones and a collection of revolutionary interchangeable backs that transform your mobile experience in a snap. A super zoom camera and a battery powerhouse. A big screen projector. A boom box. The choice is yours. 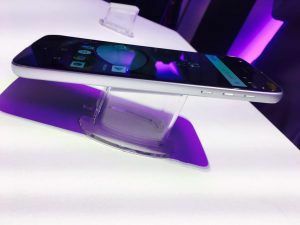 The new MotoZ is durable yet razor thin – just 5.2 mm, making it the world’s thinnest premium smartphone ever. 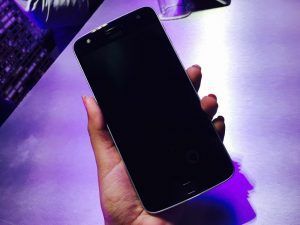 Made from military aircraft-grade aluminum and stainless steel, the MotoZ features a 14 cm (5.5”) Quad HD AMOLED display that reproduces stunning, lively content with fine details. A powerful Qualcomm® SnapdragonTM 820 processor coupled with 4GB of RAM allows the MotoZ to run enormously fast and perform heavy duty tasks. To help you take true life shots in any lighting conditions, MotoZ comes with a high resolution 13MP, f1.8 camera with optical image stabilization and laser autofocus. The front-facing 5MP camera with an extra front flash and a wide angle lens works like a charm even in low light and lets you click beautiful selfies with your friends and family. The fingerprint reader in MotoZ is super responsive and quick and a simple touch is all you need to instantly wake up your phone. The MotoZ comes with water-resisting coating and keeps you protected from rain, splashes or spills. 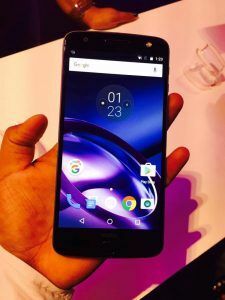 Also, Available in 64 GB of internal storage option, the Moto Z supports additional space upto 2TB2 via a micro SD card. With a 16MP laser autofocus camera, shoot beautifully sharp photos be it day or night and go from selfies to groupies instantly with the wide-angle, front-facing camera with LED flash. 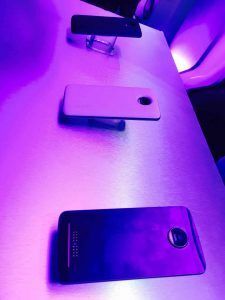 The Moto Z Play delivers a long battery life of up to 45 hours of battery4 life with its 3500 mAh battery that also supports TurboPower charging5 allowing you to get up to 8 hours of use in just a 15 minutes charge. 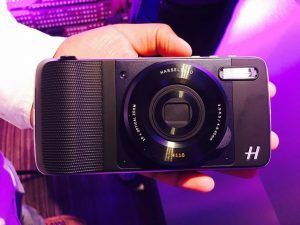 you can transform your MotoZ and MotoZ Play into exactly what you need, when you need it Moto Mods magnetically attach to Moto Z and Moto Z play seamlessly adding advanced functionality and becoming one with the phones. Give your smartphone a boost with powerful stereo sound from the JBL® Sound Boost or enjoy a movie or your favourite show with the Moto Insta -Share Projector that turns your Moto Z into a 70-inch movie projector. 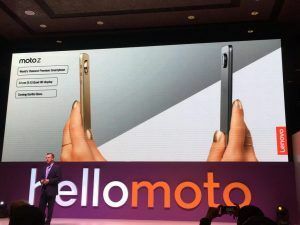 MotoZ and MotoZ Play will be available exclusively on Amazon.in and Flipkart starting 11:59 pm, 17th October, priced at INR 39,999 and INR 24,999 respectively. On purchase of phones and Mods together, one can avail bundles pricing across the Mods.